First Church building in the "Grove"
The first incorporation of St. Michael's as a church took place on June 10th 1900. The move was made by a group of hard working Eastern Europeans who were Uniates (Greek Catholics, or Eastern Rite Roman Catholics), chaired by a Mr. Paul Monchak. 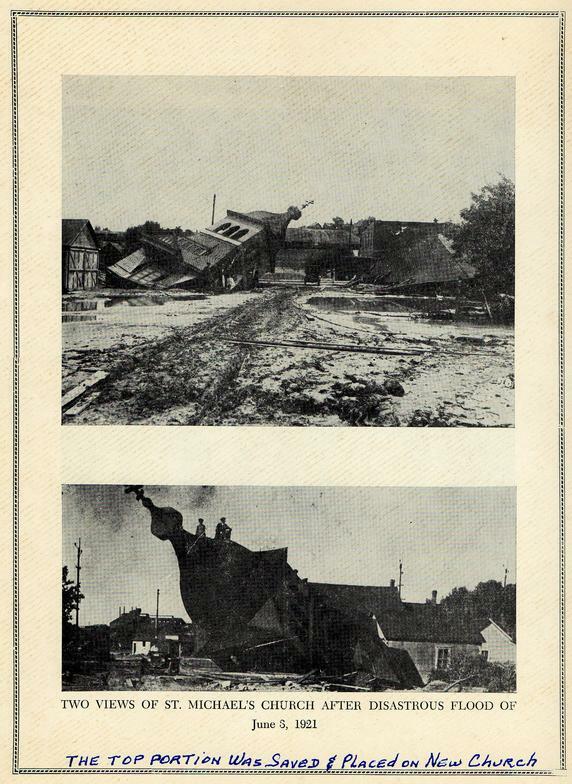 At this time land was purchased in the “Grove” on B and Palm street with the intent to construct a church building. In 1903 a church building was erected, but the parish lacked a priest. Due to discrimination and complications with the Roman Catholic Hierarchy at that time, the parish of St. Michael's petitioned St. Tikhon, the Russian Bishop of the Orthodox Mission in America, to be received back into the Orthodox Faith. St. Tikhon received the congregation of St. Michael's and immediately sent a priest, Fr. 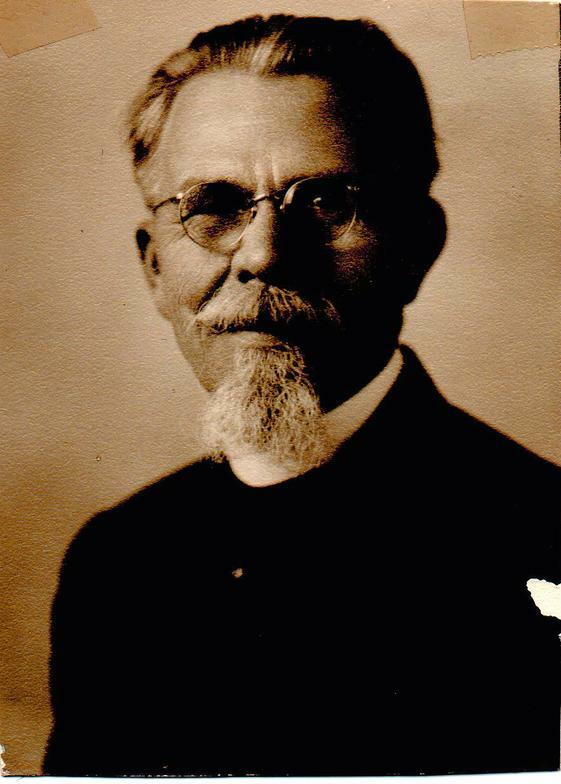 Vladimir Klanteff who served St. Michael's until 1907. 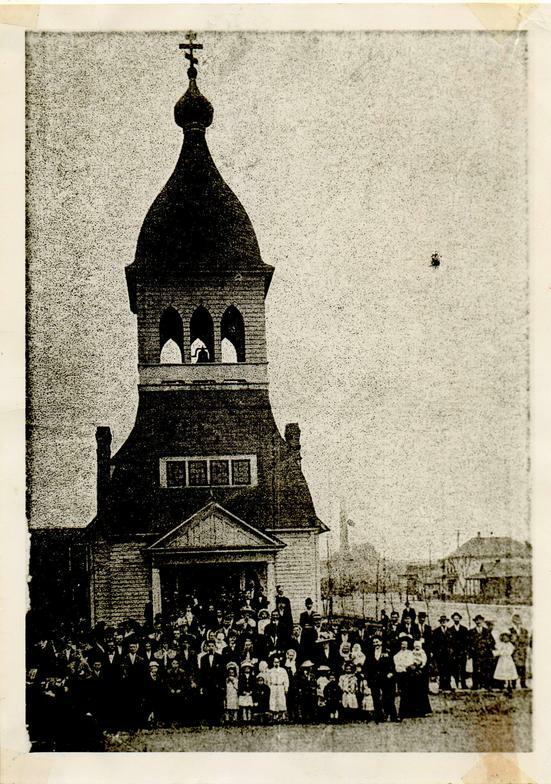 In 1905 Bishop Tikhon made a personal visit to the faithful of St. Michael's. History relates, “Upon his arrival at the Union Depot, Bishop Tikhon was greeted by all organizations, parishioners with banners and a band … Russians, Serbs, Bulgarians, Greeks, the entire Orthodox colony of Pueblo were so emotionally moved that they cried out with joy while they witnessed the graceful Apostle of Orthodoxy for the first time in Pueblo.” At this time the Greek constituents received a blessing to begin plans for their own Orthodox church, St. John the Baptist, which would serve the needs of the Greek immigrants, and they completed this task in 1907. The Priest at the time of the flood was Fr. 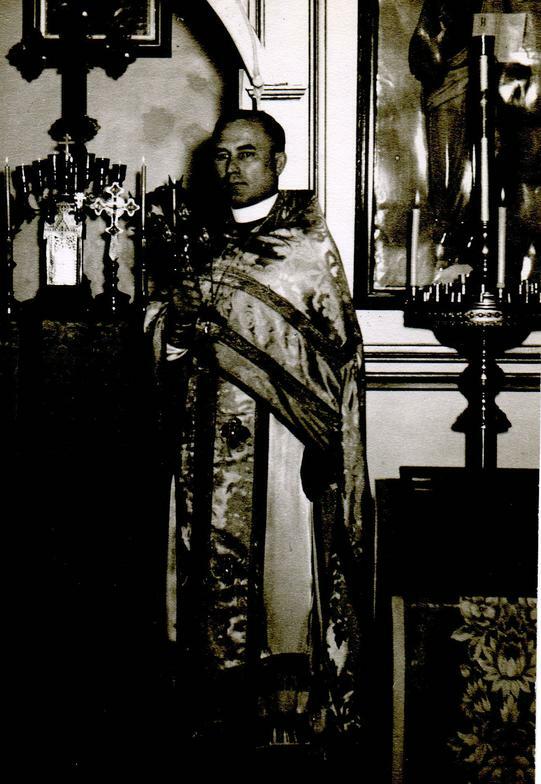 Theodore Grishan, he is to this day the longest serving Priest at St. Michael's, serving from 1919 – 1946. Upon him fell the heavy task of locating a new site for a temple and building it literally from scratch. Although the parishioners of St. Michael's were left impoverished and destitute after the flood, Fr. Theodore proved to be up to the task. At that time most men in the congregation were employed by the C.F. & I. Steel Mill. Fr. Theodore contacted the Mill, which aided in the church's plight by donating the land the current building is on. He also contacted the Rockfeller Foundation, which donated $4,000.00. The parishioners themselves raised $1,500.00 (another document records $2,000.00), which was matched by the C.F. & I. (which is consistently recorded as $1,500.00). A flood relief fund contributed another $500.00. In all the current church was build for around $8,000.00; Fr. Theodore and the faithful managed, with God's blessing, to construct the church debt free. The securing of funds and the preparation of plans for the new church took almost 3 years. 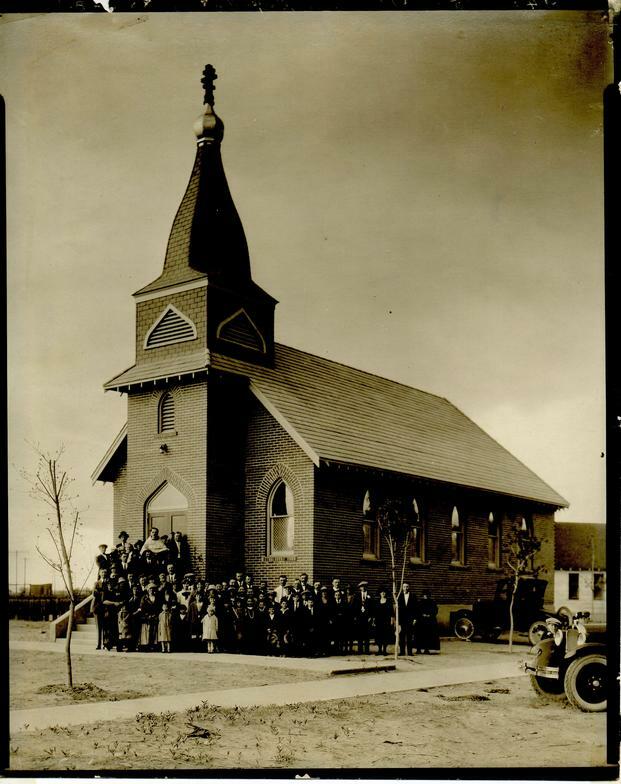 In March of 1924 a building permit was issued, construction went well and without problems, and by January 1925 the church was ready for use. The new Temple was consecrated on September 15th, 1929, by Bishop Theophilus of Chicago. A perusal of the original building plans indicates that the church was intended to be a bit larger, but due to financial constriction at that time it was not possible. Nevertheless, to this day the Temple stands as a testament to the dedication of these impoverished Slavs, and their tenacity in the face of overwhelming odds. As far as can be ascertained the current building has only two elements from the original: the cupla with cross and the large bell in the belfry. In the following years the Church community weathered various situations, including the Great Depression. During this time St. Michael's again faced a financial crises, but it was resolved, by God's grace, through the help of a wealthy man named, Vaso Chukovich. One of the most unexpected and tragic events the community endured was the sudden death of Fr. Theodore Grishan on May 30th, 1946. His funeral was conducted by the Bishop Leonty of blessed memory. From 1967 through the early 1980's the community was hounded by high clergy turnover, averaging about a new priest every two years. This was stabilized to some the degree with the arrival of Fr. Joseph Gillis, who served from 1984 – 1991. During the late 1960's the parish moved from using predominantly Slavonic in the services to English. In the mid 1970's the original simple white iconastasis was replaced with the current ornate gold iconastasis. The late 1970's and early 1980's also brought new difficulties with the almost complete closure of the Steel Mill. The whole Pueblo community suffered economically due to this, but thankfully there were faithful people during this time dedicated to Christ and His Church, and by God's faithfulness and their steadfastness St. Michael's navigated all these obstacles. With Fr. Joseph's departure in 1991 priestly tenures at St. Michael's again became rather short, although the briefness of one was due to a family tragedy. In 1998 the priest Fr. Christopher Stanton arrived, he served until 2003. The original interior of the church had been sadly caked over by various fads of the 1960's, 1970's and 1980's; the original fir flooring had been covered with linoleum tiles, the wood trim and wainscoting had multiple layers of wallpaper and paint, among other things. Fr. Christopher was inspired to restore the church interior as close to the original as possible for St. Michael's 100th anniversary. This took many hours of scraping, sanding, and overall hard work, plus the careful study of photographs taken in the late 1920's – 1930's. The restoration was achieved completely by the volunteer labor of parishioners. To help celebrate the 100th anniversary of the parish, a major icon exhibit was mounted at the Sangre de Cristo Arts and Conference Center. Icons from all over Colorado were brought into this exhibit, as well as objects like the tomb to demonstrate the beauty of Orthodoxy. The choir of St. Michael’s sang at the opening, and Fr. Christopher served as docent for hundreds of school children who visited the exhibit. Fr. Christopher also initiated the commissioning of various large hand painted icons, which currently adorn our church. Five bells, beautifully cast in the Russian tradition, were also purchased. Thanks to Fr. Christopher's vision we enjoy to this day one of the most beautiful church interiors in all of Pueblo. From late 2003 – early 2005 St. Michael's did not have a full-time priest. The parish was graciously served on Sundays by Fr. Stephan Powely, who was at that time a full-time prison chaplain. He is currently retired and serves St. John the Baptist Greek Orthodox Church on Sundays and some major feast days. The priest Fr. 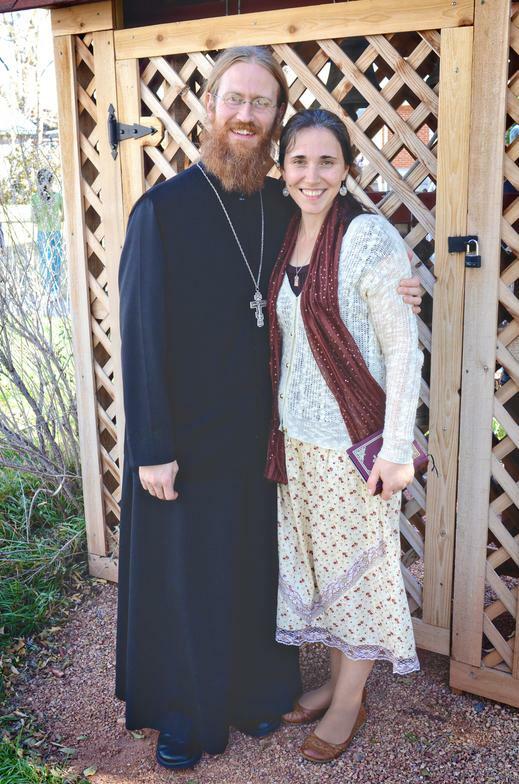 Anthony Karbo, pastor of Holy Theophany in Colorado Springs, was assigned as the priest in charge. Neither priest resided in Pueblo. Although this time without a full-time pastor posed various difficulties, nonetheless it served to draw the small community together. The parishioners showed great love for their church and actively worked to ensure its continuing legacy. Spring of 2005 brought a new priest, Fr. Barnabas Powell, who served until spring of 2011. Fr. Barnabas worked to bring greater stability to the parish and also continued addressing various physical repairs and needs of the church building and rectory. Under Fr. Barnabas the church acquired 10 grave plots at Roselawn cemetery. Our current priest, Fr. Zechariah Lynch, arrived in late June of 2011. Today a visitor to our parish on Sunday will find a worshiping community of 50 plus. We are no longer a dominantly Slavic parish, although we are forever indebted to our fathers and mothers in the faith here in Pueblo. Our Orthodox worship and life are deeply informed by the Russian and Serbian spiritual roots of our parish. All our services are done almost completely in English (although our priest, Fr. Zechariah can speak Russian). Today you will find 'Heinz 57' American converts, who have come to Orthodox Christianity seeking the fullness of the Christian Faith, and cradle Orthodox – born into the Faith – who continue to hold dear the faith of their ancestors. We have a rich and vibrant history and we are looking forward to the good things our God has in store. We have been part of our city's culture and life for 115 years. Today, we the inheritors of the legacy of St. Michael's Church are committed to living and struggling for the Faith as all those who have gone before us. The days behind us are beautiful, but we believe the coming days are extraordinary. Our doors are open, everyone is welcome - come and see.